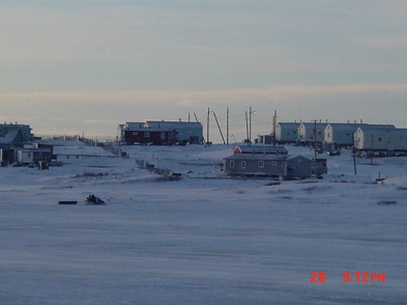 It is a popular misconception that Eskimo people live in igloos. Locals say that igloos are sometimes built as a temporary shelter during winter. These days villagers often live in housing raised well above ground level. This keeps the housing warmer, more stable- as permafrost can mean the ground sinks as it thaws, and more easily accessible in heavy snow/ blizzards. "We learn to speak soft so we not melt ice inside igloo." Village elder. 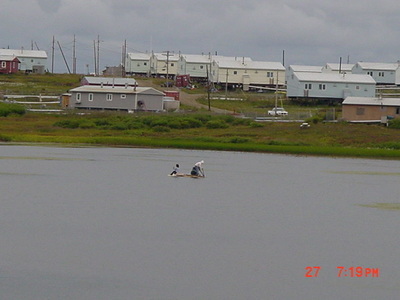 New village housing in summer. 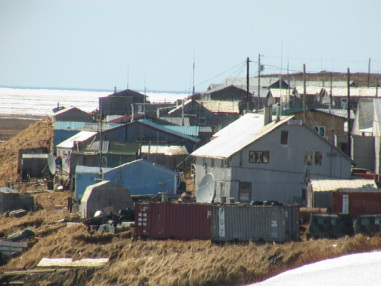 Many Alaskan villages are having problems with flooding and erosion caused by climate change. "Elders warned us, but we never listened." Some villages have been totally relocated, and others are in the process of rebuilding on higher ground. 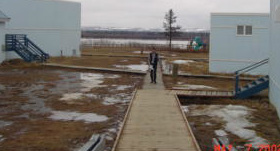 Boardwalks stop feet and traffic from sinking into the mushy tundra. 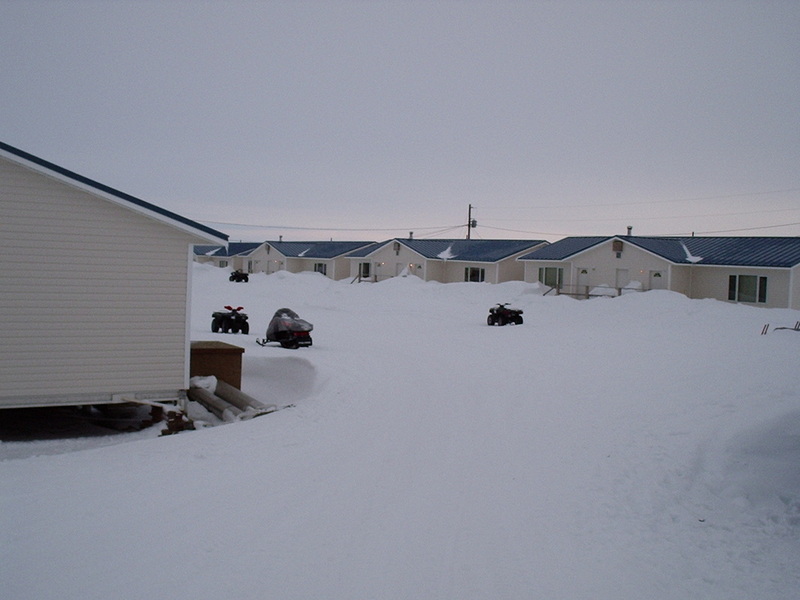 New housing is always built well above ground level to compensate for heavy snow falls, movement during permafrost and sewage systems which cannot be dug into the ground. Sewage pipes exposed in summer. Good housing is always a bonus card to teachers going out to remote Alaska where there are few luxuries. Housing is often in duplex design with shared areas for laundries and freezers. Single teachers often share houses.